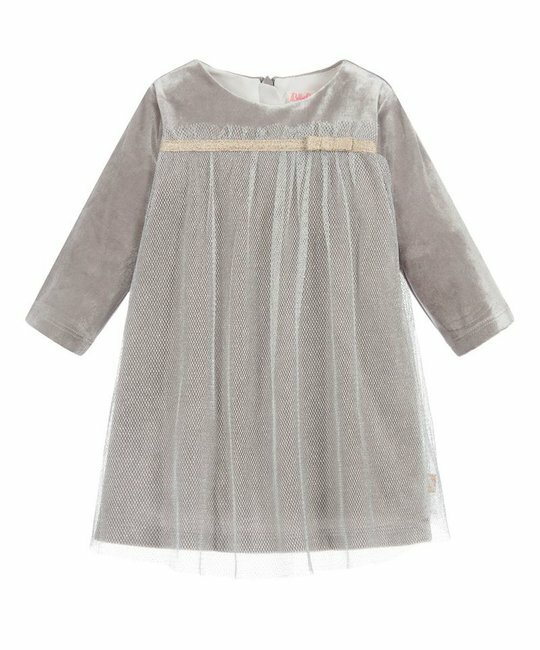 Billieblush soft grey long sleeve velvet dress with tulle overlay detailing. 100% Polyester. Imported.